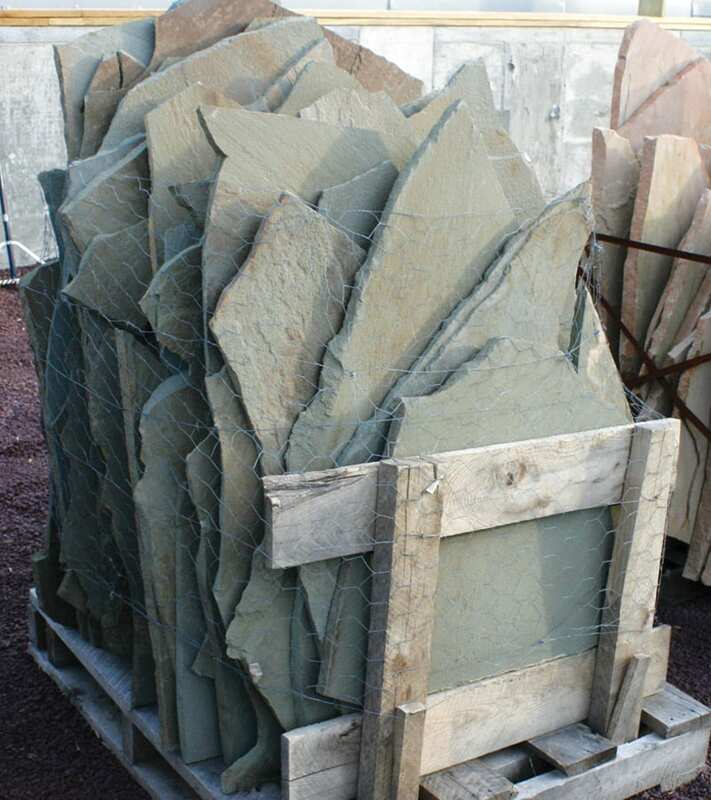 Full Range Color Bluestone Irregular Walkway & Patio Stone - Vertical Pallet. 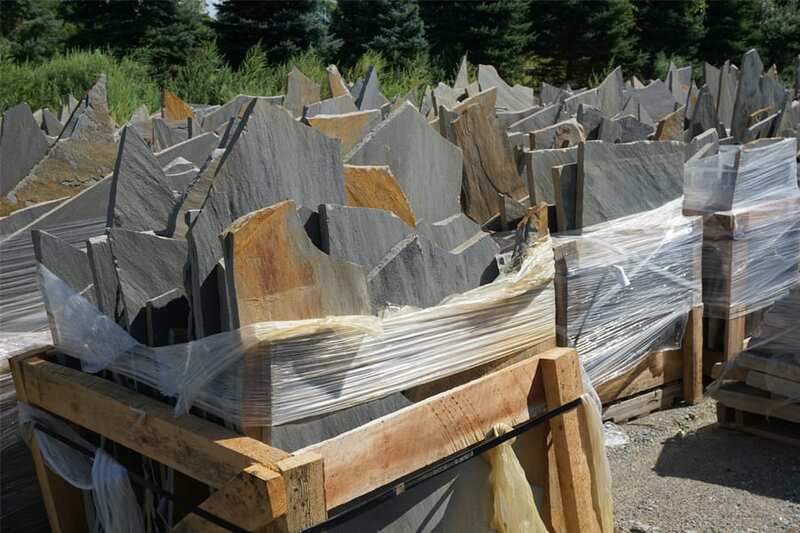 Bluestone comes in 2 basic colors - Blue-Blue which is silvery blue and Full Range which can include the silver blues but also a wide range of earth tones. Blue-gray with prominent accent colors on many pieces. Accent colors can be Brown, Tan, Green, Rust and other hues. 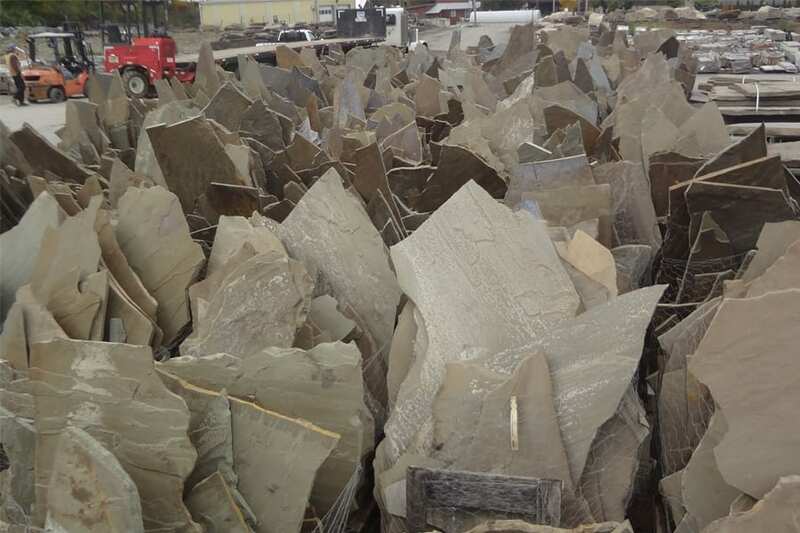 Full range color bluestone can bring in a wide range of earth tones which tends to give the stone a more aged and weathered look right off the pallet. Vertical pallets mean many pieces are quite large. Cannot be handled by one person. If you are looking for a classic irregular walkway and patio stone - this Full Range Color Bluestone irregular will create that look. Wicki Stone carries these products that match or compliment Full Range Color Bluestone Irregular walkway and patio stone.